Posted December 26, 2017 by The Rapid & filed under News. What a year! We can hardly believe 2017 is coming to a close. This year, we have had many important milestones including the addition of new compressed natural gas (CNG) vehicles to our bus fixed-route bus fleet, the preparations for our transition to The Wave e-fare system and the successful passing of our operating millage. 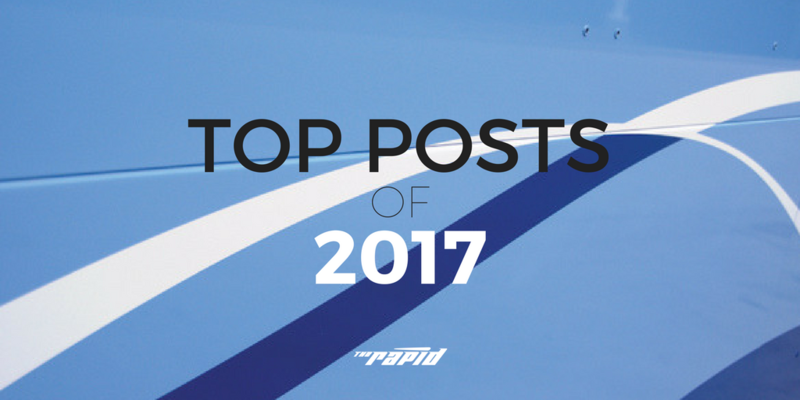 Take a look back at some of the top Get on Board blog posts from 2017. We can’t wait to see what 2018 has in store for us!